If your record is Open Access the reviewer can directly and anonymously download your data. You can directly send the DOI that was issued during the publication process to the respective journal. If your record is under Embargoed or Restricted Access conditions, access to the record can then be given using the generated secret URL. This URL will give anonymous access to anyone who is accessing the dataset through this link. This secret URL can be handed over to the reviewers of your article. 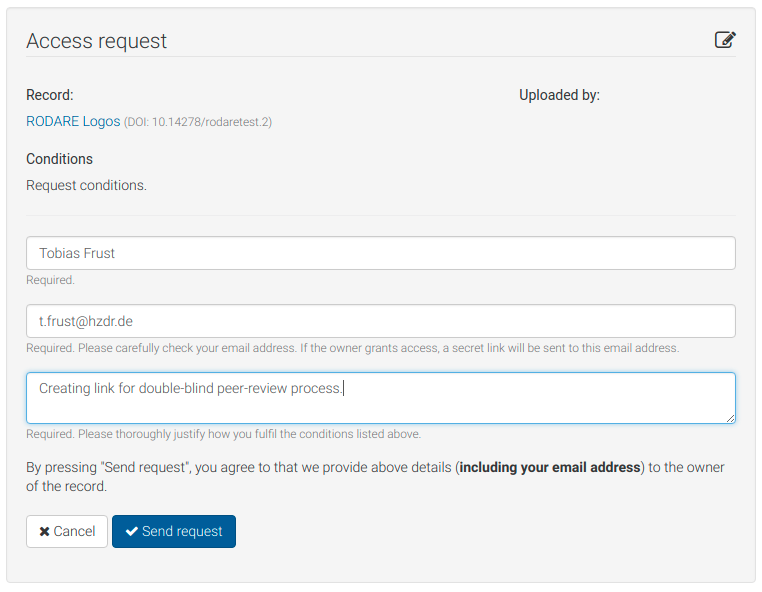 How can I generate a secret link for a double-blind peer-review process? 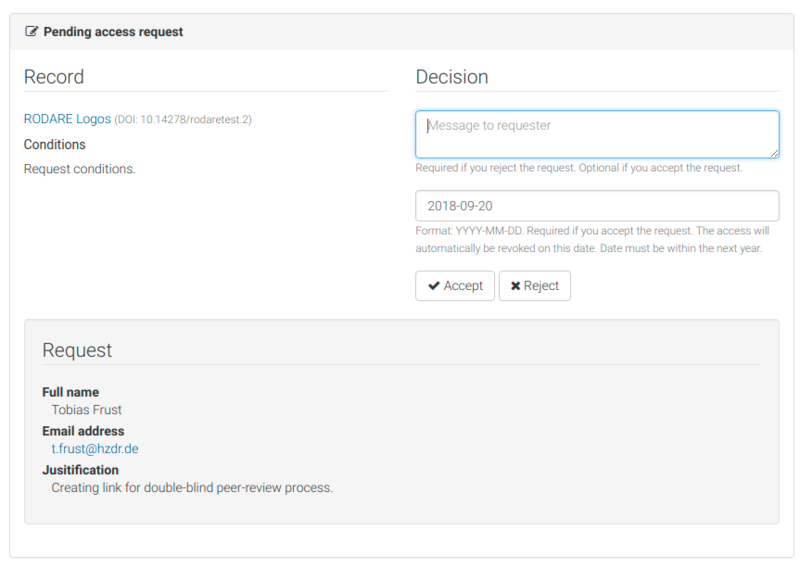 Usually, requesting access to a dataset under Restricted or Embargoed Access conditions discloses the issuers email address to the owner of the dataset which is not possible in a double-blind peer-review process. This is why you need to request access to the dataset by yourself. Click the blue Request Access button. Fill out the form and enter your own email address. The secret URL will be sent to this email address. Verify your email address by clicking the link in the access request verification mail. The secret link is sent to you via mail. Give this link to the reviewers. By doing so, the reviewers can anonymously access your dataset.